José Manuel Mourinho Félix­ had enjoyed a successful career as a goalkeeper with Vitória Setúbal and Belenenses, even earning a solitary international cap for Portugal, before embarking on a somewhat tumultuous managerial livelihood. Mourinho Félix managed several Portuguese clubs of differing standings from the mid-1970s through to the mid-1990s. Little could he have known – aside from the obvious downer it had put on his family’s Christmas celebrations – the effect that his inconsiderately-timed dismissal would have on his only son, José Mário dos Santos Mourinho Félix, the man we all know as José Mourinho. José Mourinho still vividly remembers the cold-hearted sacking of his father, an unwanted Christmas gift of uncertainty thrust upon the family, but it didn’t deter the young man from pursuing a coaching career of his own. Quite the opposite, in fact; it served as motivation. By his mid-teens, despite still harbouring hopes of a playing career within the game, the young Mourinho would regularly prepare scouting reports of the opposition for his father. 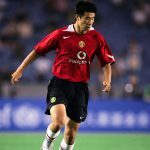 And Mourinho did indeed have a playing career, albeit spent in the Portuguese second tier, even playing under his father at Rio Ave for a while, but he was well aware of his shortcomings as a player and, seeing coaching as his true calling, began to study for badges in his early-20s– attending courses put on by the English and Scottish Football Associations — before becoming a PE teacher in Lisbon as his playing career wound down. Mourinho’s first real chance to put his coaching ability to the test came as youth team coach at Vitória Setúbal. The experience gained through working with Vitória’s young players led to the fledgeling coach being given the opportunity to become assistant manager at Estrela da Amadora. Estrela was a small club based in the north-west of Lisbon that has since folded, losing their battle against financial difficulties in 2010. But they can at least boast about having played a role in the formative coaching years of one of football’s biggest names. 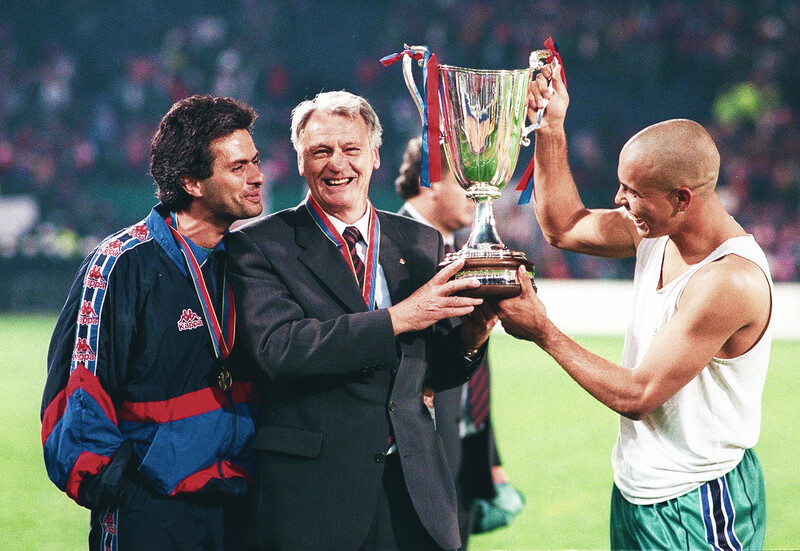 In 1992, following back-to-back Eredivisie titles with PSV, veteran English manager Bobby Robson joined Sporting Clube de Portugal. Recognising that their new manager was unable to order a drink in Portuguese, much less convey a tactical blueprint to a group of footballers, Sporting hired Robson a translator. Already somewhat ingrained in the Lisbon football community and, more importantly, a fluent English speaker, Mourinho was the perfect man for the job. After an unspectacular yet respectable third place finish in his first season with Sporting CP, Robson was dismissed in December 1993. Defeat to Casino Salzburg in the UEFA Cup saw club president Sousa Cintra – a man Robson described as a “loose cannon” – sack the Englishman. It was the first time he had been sacked in his career. Robson was almost immediately offered the managerial post at rivals Porto, taking the reins of the Dragões in January 1994. A venture Robson didn’t want to take alone, he took Mourinho with him as his assistant. 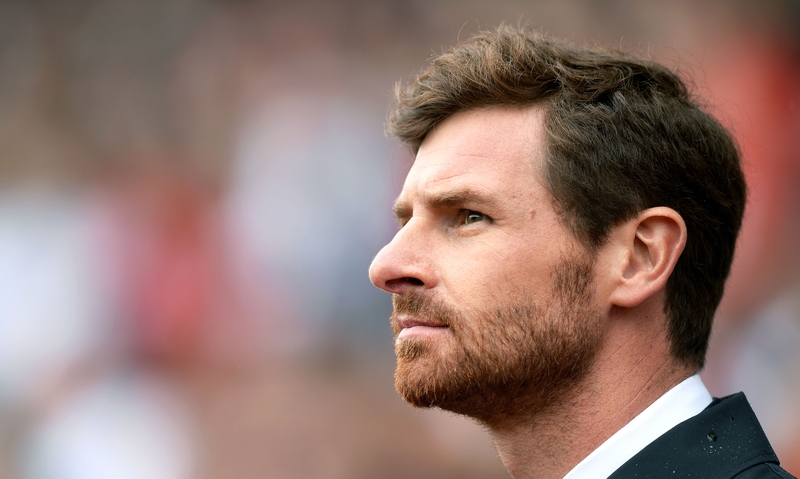 He would also give an opportunity to another future Chelsea manager in André Villas-Boas. Villas-Boas, just 17-years-old at the time, lived in the same apartment block as the new Porto boss, who gave the young man the chance to join the club’s observation team. Robson and Mourinho enjoyed tremendous success with Porto, reaching the Champions League semi-final during the 1993/94 season — where they were denied a place in the final by Johan Cruyff’s Barcelona — and winning the Portuguese championship in 1995 and ’96. Together they assembled and fine-tuned a thrilling, attacking side, boasting a cast of talented forwards such as Ljubinko Drulović, Domingos and Rui Barros. On the back of such success, Robson was appointed to take over from Cruyff at Barcelona. The Dutchman would not be an easy act to follow; a club legend as a player, as a manager Cruyff had brought Barça their first ever European Cup in 1992, along with four consecutive league titles from 1991 to ’94. Robson would again take Mourinho with him. The date is 14 May 1997, at the Feijenoord Stadion in Rotterdam: 18 minutes into the Cup Winners’ Cup final between Barcelona and Paris Saint-Germain, the Catalans have a penalty. Ronaldo stands over it. The 20-year-old Brazilian – considered the greatest player in the world – won the spot kick himself, having been hauled down by Bruno N’Gotty inside the penalty area. Ronaldo steadies himself, runs up and, in anticipation of French goalkeeper Bernard Lama diving to his right, fires the ball straight down the middle. Despite both teams hitting the woodwork during the 90 minutes – Luís Figo even managed to strike both the crossbar and post with a single effort – Ronaldo’s penalty is enough to secure victory for Barça. Robson and Mourinho join the celebrations on the field. The Portuguese can be seen embracing Barça midfielder Pep Guardiola. The two had grown fond of one another through their mutual cerebral approach to football. The image of the two men, arm-in-arm, betrayed no signs of the bitter rivalry that they would experience 13 years later. Images of the trophy presentation show Robson in the background of the celebrations, with Mourinho occupying centre stage with the players. The following month, Barcelona would go on complete a cup treble by adding the Copa del Rey to their victories in the Cup Winners’ Cup and the Spanish Super Cup. It would be Robson’s last match as the club’s manager after just one season in charge at the Camp Nou. Robson was being moved upstairs to take on the title of General Manager, with first team coaching duties to be handed to Dutchman Louis van Gaal. Mourinho maintained his position, continuing his managerial apprenticeship under the former Ajax boss. His influence and input had continued to grow over the previous season. Already fluent in Spanish before moving to Catalonia, Mourinho again took on translating and interpreting duties for Robson, even translating some of the Englishman’s early press conferences. 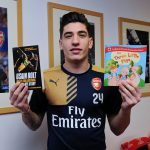 But when tasked with relaying the manager’s instructions to the players, English-speaking members of the squad noticed that he was adding tactical notes of his own, going into greater detail than his boss. Despite his early success in the league, Van Gaal was sacked in 2000, largely due to his failure to cap Barcelona’s centenary with a second European Cup the year before. The Catalans had thought it their destiny to be crowned champions of Europe in their 100th year, with the final being held in their own stadium. Instead, they were eliminated in the group stage, finishing behind both eventual finalists Manchester United and Bayern Munich. Mourinho also parted ways with Barcelona at this point, perhaps slightly aggrieved at club president Josep Lluís Núñez’s insistence on dismissively referring to him as “the interpreter” – a nickname that was picked up on by the Catalan press. Feeling his apprenticeship had been served, the Portuguese thought it was time he became the leading man. It was time to take the leap into management. When Benfica sacked their German coach Jupp Heynckes in September 2000, Mourinho was appointed his successor. However, it was to be a short-lived managerial debut. Mourinho found himself at odds with the board from the off; he refused to make Portugal under-21 coach Jesualdo Ferreira his assistant, as suggested by the powers that be, and instead selected former Benfica defender Carlos Mozer to sit alongside him in the dugout. 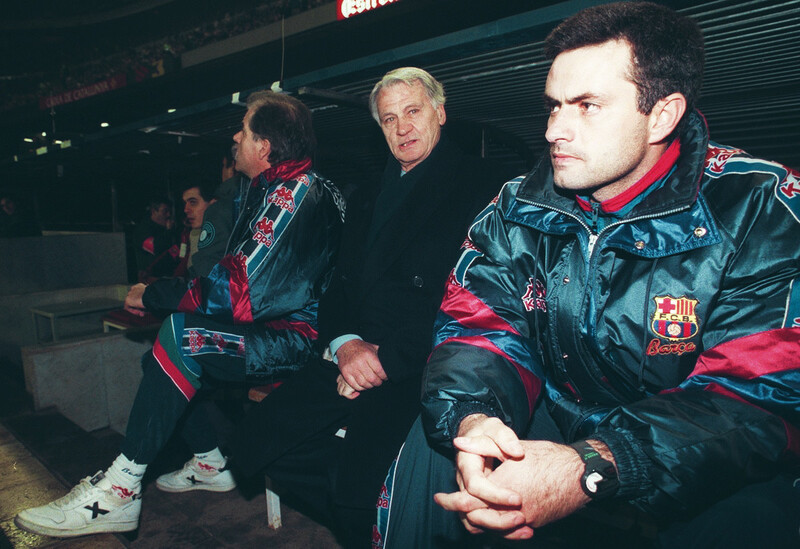 A few weeks into his new post, Mourinho was contacted by his old mentor Bobby Robson. Robson had just accepted the role as manager of Newcastle United and he wanted José to be his assistant. So keen was he to get the band back together that he even said he would step aside after two years and let Mourinho take over. Mourinho resisted the temptation to reunite with his old boss, suspecting the experienced Englishman – now well into his 60s – would find it too difficult to relinquish the reins of the club he supported as a boy. Instead, Mourinho decided to stick with the plan and forge his own path in his homeland. Although not seemingly one to harbour regrets, Mourinho may have wished he had taken Robson up on his offer when, after just nine games in charge, he decided to leave Benfica. 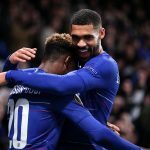 Results had been good – they had just thumped cross-city rivals Sporting 3-0 – but a presidential change left Mourinho feeling his position was weakened. On the back of the derby victory, he went to see the new president, Manuel Vilarinho, to demand an improved contract. It was a test of loyalty. The president refused and Mourinho resigned on the spot. He remained unemployed for most of what remained of the season until, in April 2001, he took over at União de Leiria with seven games to play, finishing the season in a club record fifth place. Leiria were a perennially mid-table club, but with Mourinho’s influence, they soon found themselves occupying the loftier climes of the Primeira Liga. Their tenacious, aggressive young coach transformed them into a well-drilled, resolute, organised unit and a difficult to beat team – traits that are now synonymous with Mourinho. He had his men upsetting the status quo and ruffling the feathers of the established elite. By the end of January in his first full season in charge, Leiria sat third, above both Porto and Benfica. The rising star of Portuguese management and still only 39-years-old, Leiria’s transformation from mid-table also-rans to ballsy respecters-of-no-reputations under Mourinho had not gone unnoticed. Soon FC Porto would be making enquiries about their former employee and European football would never look the same again.